In order to drive in-store sales for the brand, they tasked ProgMechs with increasing brand awareness across devices. The campaign used a mixed media execution to reach customers on a national level. To run a campaign with a completion rate of at least 80% across multiple devices, achieving the lowest possible CPA. Connected TV: Our overall VTR was 97% for this portion of the campaign, which served 298,960 impressions. 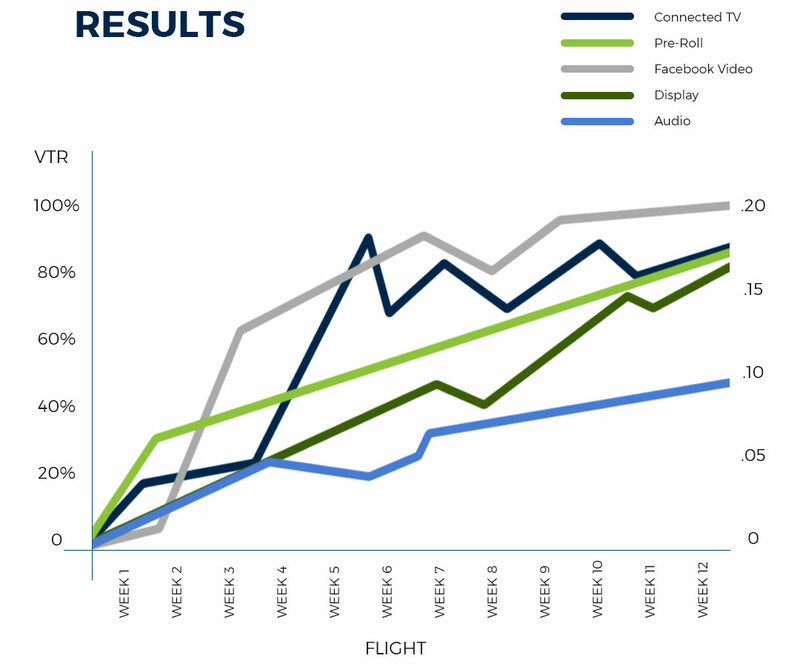 This portion of the campaign performed exceedingly well, as our KPI is a 90% VTR for Connected TV. Pre-Roll: Our overall VTR for Pre-Roll was 82%, and we served a total of 1,134,820 impressions. We are optimizing toward an 80% VTR so we came in just above our KPI and the industry standard. Facebook Video: We served a total of 1,513,920 impressions on Facebook for VTR of 87%. Display: Our overall CTR was .10%, over 5,332,810 impressions which is certainly above average for a display campaign. Once we picked up traction on the top sites and optimized towards clicks, this reach continued to increase. Audio: We served :30 sec audio ads on Spotify and reached a 97% completion rate and .17% CTR with mobile users. This targeted DMA’s under Sports, News, Holiday. ProgMechs proved that strong content combined with successful placements can quickly and efficiently deliver high ROI. Due to the quality of the brand’s products combined with ProgMechs’ efficiency, the brand saw a lift in in-store activity from their retail partners from $1.7 billion to $2.1 billion in the next year. To this day ProgMechs continues to work with the brand and help drive awareness across their North American footprint.